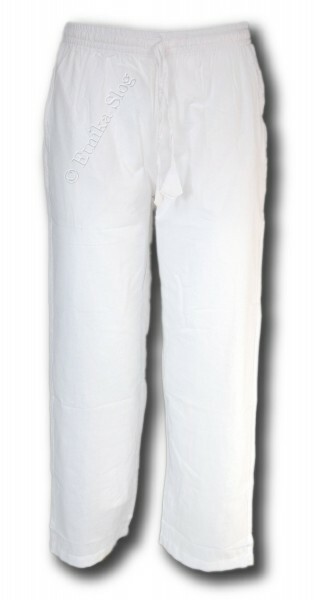 PANTALONI COTONE NEPAL - Oriente Import S.r.l. PANTALONI IN COTONE Ci sono 36 prodotti. PANTALONE AFGANO LUNGO IN MAGLINA DI COTONE, FASCIA ALTA IN VITA ELASTICA, APPLICAZIONI RICUCITI, CON 2 TASCHE. DISPONIBILE TAGLIA L/XL COLORE ROSSO. 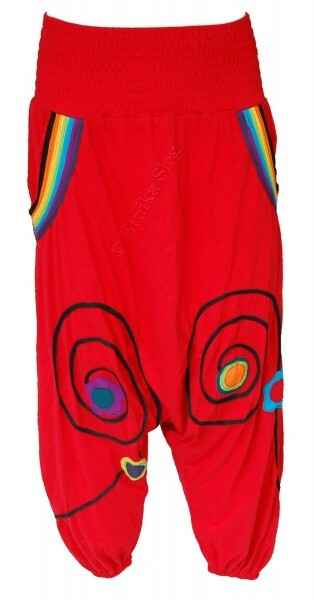 PANTALONE AFGANO LUNGO IN COTONE, FASCIA ALTA IN VITA ELASTICA, APPLICAZIONI TYE DIE RICUCITI. DISPONIBILE IN DUE TAGLIE S/M E L/XL IN VERDE MILITARE. PANTALONE PALAZZO IN JERSEY COTONE STAMPATO CON RICAMI, LACCI IN VITA. DISPONIBILE NELLE TAGLIE S/M L/XL IN 4 COLORI. PANTALONI LUNGHI IN COTONE STAMPATO, 4 TASCHE. DISPONIBILE TAGLIA S/M - L/XL IN 3 COLORI. PANTALONI LUNGHI IN COTONE STAMPATO, CON BRETELLE FINTE. PANTALONI LUNGHI IN JERSEY DI COTONE, TINTA UNITA CON POLSINI E TASCHE. DISPONIBILE TAGLIA S/M - L/XL IN 4 COLORI. PANTALONI LUNGHI IN JERSEY DI COTONE, TINTA UNITA STONEWASHED CON POLSINI E TASCHE. PANTALONI LUNGHI IN JERSEY DI COTONE STAMPATO CON POLSINI E TASCHE. 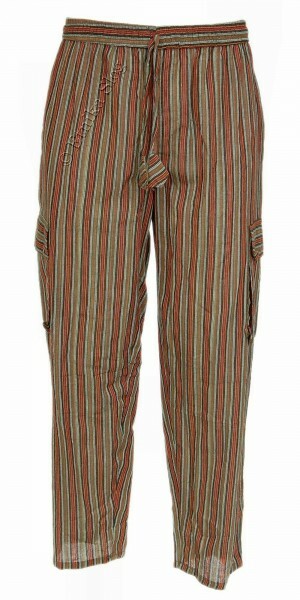 PANTALONE IN COTONE LEGGERO A RIGHE, 3 TASCHE, ELASTICO E LACCI IN VITA. UNISEX, DISPONIBILE IN 5 TAGLIE IN VARI COLORI. PANTALONE AFGANO IN JERSEY DI COTONE CON STAMPE E RICAMI, FASCIA IN VITA TINTA UNITA CON LACCI. PANTALONE TURCO IN JERSEY DI COTONE CON STAMPE E RICAMI, FASCIA IN VITA TINTA UNITA CON LACCI. DISPONIBILE NELLE TAGLIE S/M E L/XL IN 3 COLORI. PANTALONE IN COTONE LEGGERO, 3 TASCHE, ELASTICO E LACCIO IN VITA. UNISEX, DISPONIBILE NELLE TAGLIE S - M - L - XL - XXL COLORE BIANCO. PANTALONE IN COTONE LEGGERO A RIGHE, 3 TASCHE, ELASTICO E LACCIO IN VITA. UNISEX, DISPONIBILE IN TAGLIE S-M-L IN VARI COLORI. GONNA FINTO PANTALONE AFGANO IN COTONE TINTA UNITA, 2 TASCONI CON CERCHI RICAMATI. FREE SIZE, DISPONIBILE IN 2 COLORI. PANTALONE TURCO IN COTONE STAMPATO, FASCIA ALTA ELASTICA IN VITA CON DUE TASCHE. DISPONIBILE IN TG L/XL IN 2 COMBINAZIONI DI COLORE.